This Post has already been read 1695 times. UBM Omni, a United Bank Ltd’s Branchless Banking Services has been shortlisted for GSMA Global Mobile Awards 2012 that will be held from February 28th, 2012. The bank claimed to have offered transparent and efficient Cash Disbursement Service to government of Pakistan, UNDP (United Nations Development Fund) and WFP (World Food Program), after the 2009 International Displacement Persons (IDPs) Crisis and 2010’s destructed Flood Crises. 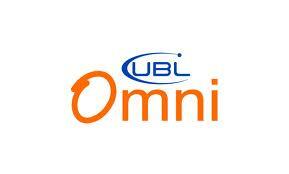 Omni has established itself as second largest branchless banking services and network after Telenor’s Easypaisa. UBL Omni was launched in April 2010, has established more than 5,000 agents, countrywide and disbursed payments to around 2 million recipients. UBL Omni’s efforts have been recognized at a global level with nominations for the 17th GSMA Global Mobile Award 2012, which is considered as Oscar of telecom world. There are 8 categories and 23 sub-categories for which 600 enteries were submitted. From which 158 organizations were shortlisted out of 600 entries from across the world and from across the mobile Eco-system, making it a significant achievement for UBL Omni to be part of it.